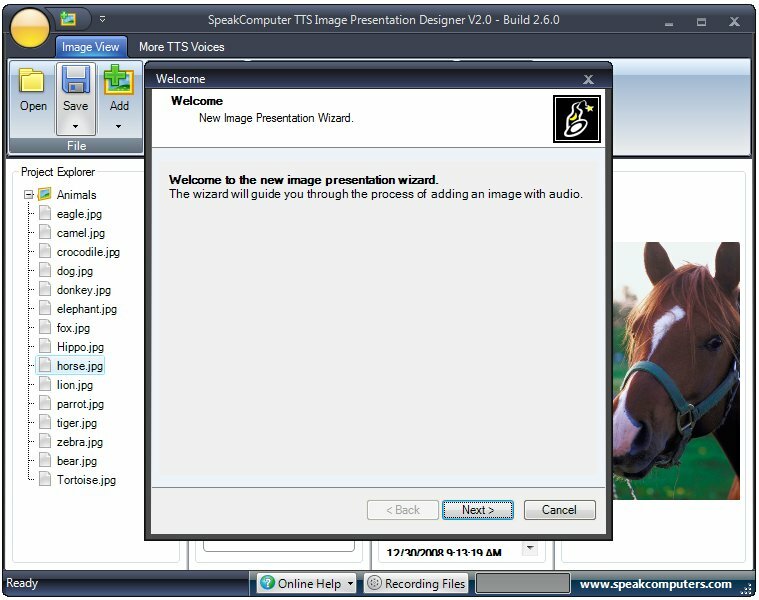 The SpeakComputer text to speech image presentations software allows you to create various image presentations using text to speech technology. You can create professional or personal presentations and share them with work colleagues, friends and or family members. You can either use the text to speech features or make use of recorded sound files that can be associated with various images or photos. Here, your creativity is what counts. Starting the Text to Speech Image presentations. This open the main SpeakComputer software selector. Click on the Presentations button to launch the text to speech presentations. From this point you will be asked to start a new project or open an existing project.